THERE is a revolutionary new approach to weight loss, which isn't based around any form of exercise, instead it uses hypnotherapy to help you shed the kilos. The Shrink extreme weight loss program is the brain child of Riverina Hypnotherapy owner James Duncan, who is a qualified hypnotherapist. Mr Duncan is coming to Toowoomba next weekend to share the program with residents who want to lose unwanted weight. 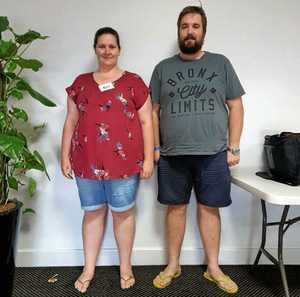 Bec Spry and her partner Brendan Milliner took part in James Duncan's The Shrink extreme weight loss program and lost more than 100kg between them. In the seminar Mr Duncan will teach participants how their mind works, how stress causes obesity, how emotional baggage affects your physical and mental wellbeing, and how to stop yo-yo dieting. He said that losing 15kg of fat each month was a very realistic goal to achieve. "Your skin will even shrink back; you will not be left with floppy or saggy skin that is usually associated with rapid weight loss," he said. 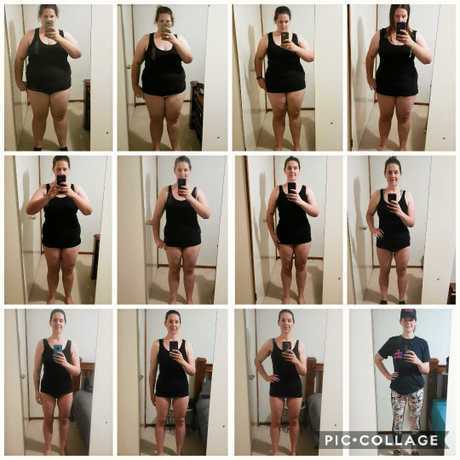 "One young female client lost 16.6 kg in just 21 days. James Duncan from Riverina Hypnotherapy. "Clients regularly report dramatic improvements in other obesity related health conditions. Things like blood pressure, cholesterol and blood sugar levels invariable improve quickly." 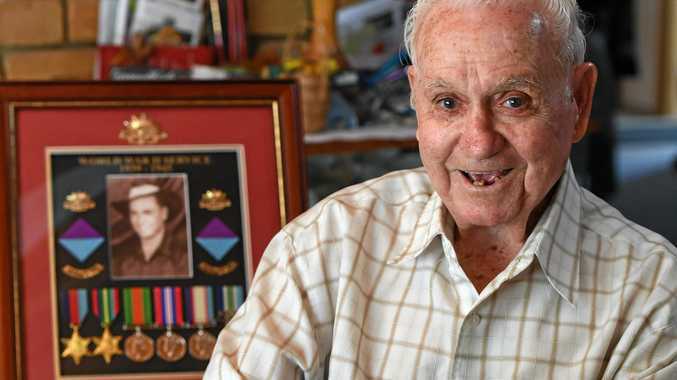 Mr Duncan has held a number of seminars in different states and decided to visit Toowoomba due to the success of a New South Wales family, who have many relations on the Darling Downs. Gwen Spry has been the driving force behind bringing the program to Toowoomba after seeing amazing results from her daughter Bec Spry and her partner Brendan Milliner. 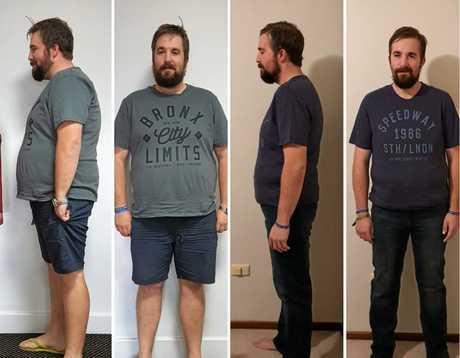 After attending one of Mr Duncan's previous seminars they lost a combined total of 128kg. Her two nieces and great nephew have also seen incredible lifestyle changes after attending. Mrs Spry said she wanted the same for herself as well as other residents. "My daughter and her partner lost the weight they set out to lose, and Brendan is a truck driver so if he can lose all that weight while on the road, anyone can," she said. "One of my nieces is also at her ideal weight and the other is part way through the program. "I want to lose a bit of weight, become healthier all round and improve my mind." Are you at your ideal weight? This poll ended on 01 April 2019. Mrs Spry said another surprising outcome was that of her great nephew, who attended the seminar to originally keep his mum company, but saw amazing results. "He was blown away by the seminar. He didn't attend to necessarily lose weight but he benefited massively. It helped him with his HSCs, he wasn't stressed or frustrated, and said he had clarity of thinking which helped him succeed." She said she encouraged anyone who was interested to have a look into The Shrink extreme weight loss program. "I am exited to take part and find out the benefits I am going to gain. I can't wait to feel like the others, because from the stories they tell it has completely changed their lives." Superfoods you should eat: The easy way to get proper nutrition. IN JUST two days qualified hypnotherapist James Duncan will give residents the tools to lose weight and keep it off for good. He is hosting a seminar next weekend across both days at the City Golf Club. A majority of the two days is spent talking about the mind and explaining how it works. This is due to weight gain, the inability to lose weight, anxiety, depression, pain and many more ailments are the result of stresses that have built up in our bodies over the years. Mr Duncan will explain his mind map which is like the framework of a jigsaw puzzle. He then shares his research, client stories and studies to explain the concepts. By Saturday afternoon Mr Duncan will have pointed attendees in the right direction and shared with them events which are most likely to be causing grief with weight gain. Homework is needed on Saturday night before the second day of the event kicks off. The people who put the best effort into their homework are the ones that get the best results because they have turned off their stresses. When attendees come back Sunday morning they are run through the flow on effect from the homework and continue on with the mind work. Then it's time for the food plan discussion. The food plan is a low calorie food plan where they buy food from the supermarket and butcher and there is nothing special about this. The weekend is finished with a one-hour guided mediation that is designed to give the mind silence and act as a relaxation session that helps give closure on the homework. When the program wraps up attendees will have all the tools they need to lose weight, have their skin shrink back and are also in a position to become their own therapist.